By focusing equally on three main components of the meeting—the theme, content and venue—you’ll greatly increase your chances of a successful event. Tip: Include some sales people on the planning team to engage your audience and ensure that your content and agenda hits the mark. How do we want our sales people to feel afterwards, and what do we want them to think or do differently? And will there be a measurable return on the investment we make by taking the entire sales team off “the front lines” for two or three days? Once you’ve answered those questions—and that may take time and discussions might be lively—you’re ready to begin planning. Choosing a theme begins with reflecting the state of the business and the morale of the sales force. What kind of year has it been? What changes have the company and employees experienced? “If things are going well, that’s the perfect time to lighten the tone and have some celebratory fun in addition to rolling out new products or training sales people,” recommends Laura MacIsaac, CMP, director of sales for Monona Terrace. “Some companies have recreated game shows or inducted people into a hall of fame where everyone gets a humorous award, or even rolled out red carpets and snapped pictures,” she says. Tip: After you’ve brainstormed slogans, gather a group of sales people and those who support them and, with an open mind, listen to their reactions to the ideas. Adjust as needed before you settle on a theme. Even if you’re planning on scheduling in social time—which is important for building teams and morale—you still need to deliver other valuable content that helps your sales people succeed. “We’ve seen that the best sales meetings blend ‘meaty’ information with lighter moments,” says MacIsaac. She adds that the best sessions aren’t just typical PowerPoint presentations either, with overstuffed slides and tiny print. “No one enjoys sitting through lengthy presentations like that—especially when your audience is extremely busy. You’ll lose them fast,” she says. “Keep your sessions short, efficient and on point, and use different media, such as video or audio to keep the format fresh,” she advises. To increase the shelf life of your sales meeting, place all your content online via a password-protected extranet or FTP site so that your sales people can reference the materials throughout the year. Tip: To help your sales people continue to build skills, give them a book or a webinar link at the end of the meeting so that the learning doesn’t end when they head home. Choose a place that’s easy and affordable for your sales people to get to by plane or car, and select a venue that allows your participants to get around town by foot, bicycle or public transportation. Your group’s preferences. What does your group like to do during down time? Sporting events? Historical walking tours? Do they want high-rise views overlooking a city or rooftop parties nestled along a lake? Capacity of meeting rooms. Don’t crowd people in. Room for social interaction. The space should help people meet each other and spend time together. It’s even better if the venue showcases art or offers exhibits for attendees to explore during down time. Reliable and high quality AV equipment. Knowledgeable on-site support is important too. Tasteful décor. You know how distracting it is when ugly curtains frame the speaker. Competent staff members. And not just the venue’s sales representatives, either, but everyone else as well. Price. You want to know you’re getting a good value for your investment so that you can confidently present the numbers to the keepers of the budget. Food quality. Many companies now expect venues to follow responsible catering practices, which include providing organic or local food options and donating unused food to pantries. Read more about planning sustainable events here. You already know how labor intensive it is to plan a good sales conference. But also know that your efforts help your sales people discover renewed pride in your company and infuse that “let’s go!” inspiration for a winning year ahead. They’ll also think back to a productive meeting that helped them grow as a professional and deepen personal relationships. To a sales person, that’s a great investment. To an event planner, it’s a job well done. 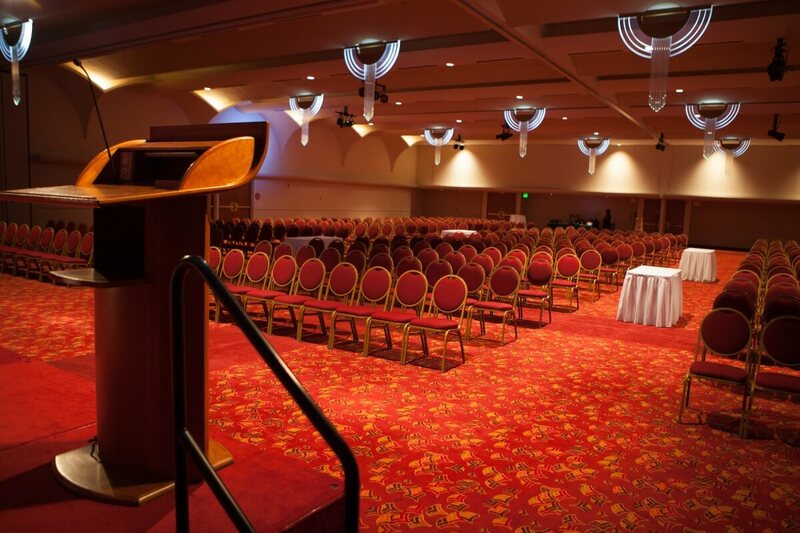 Want to discuss hosting a sales conference at Monona Terrace? Contact Laura MacIsaac, CMP, director of sales, at lmacisaac@mononaterrace.com or 608-261-4016.